It's that time of year again... the time where you realize that you didn't get everything done that you wanted to do before Christmas (okay, I did get one project done). So in true fatalistic spirit here is a round up of the Christmas crafts I wish I would have done a month ago. Perhaps next year? Glitter Origami Cranes by Zakka Life. You had me at origami, little ornaments. I've been obsessed with paper cranes since we read Sadako and the Thousand Paper Cranes in fourth grade. 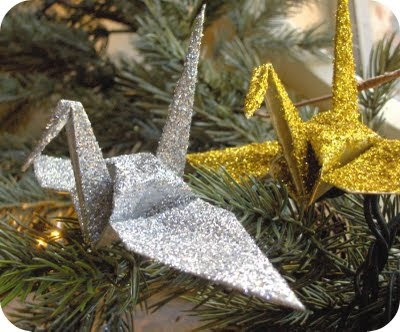 So, paper cranes + glitter = the best thing ever. Tutorial here. 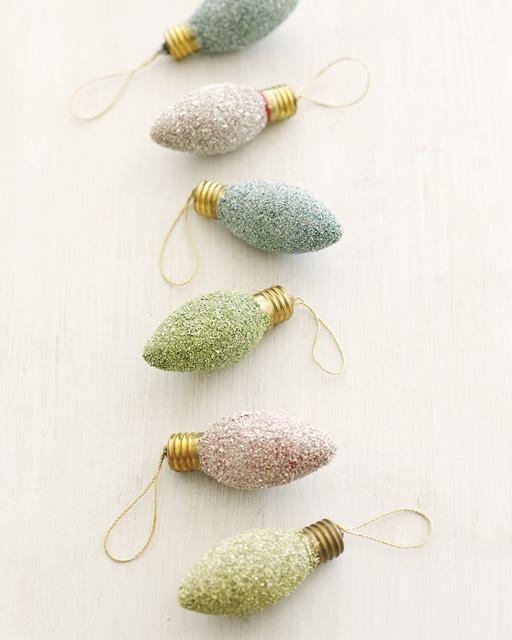 Glitter bulb ornaments by Sweet Paul Magazine. Mostly, I just love these old style light bulbs and the addition of glitter and a string makes them extra adorable. Tutorial here. Felt Ball Wreath by Pickles. I've been obsessed with this wreath for over a year. I just really like how colorful it is. Also, it isn't super Christmasy which I nice. I haven't done this project yet because it looks like it would take forever and I'm not sure the payoff would be worth it. Tutorial for making the wreath here and how to make the felt balls here. 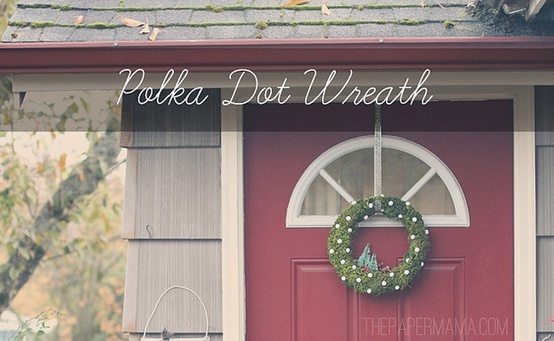 Polka Dot Wreath by The Paper Mama. A friend send me this link a few weeks ago and I love it. Moss is so beautiful already that adding it to a wreath form plus miniatures is like totally my jam. Tutorial here. Miniatures in a jar by Salt Tree. Seriously, need I say more? It's no secret that I'm obsessed with miniatures and Christmas minis are like my own personal brand of heroine (I am so ashamed I just quoted that book). 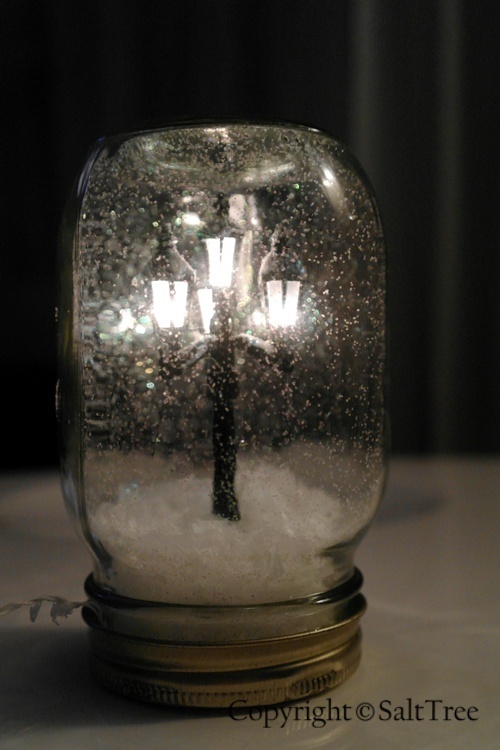 There are many variations of the 'Christmas snow globe in a mason jar' idea and I think it would fun to do any of them. Tutorial here. 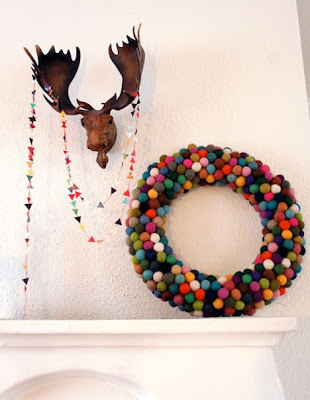 Thumbtack wreath by Canadian Family Magazine. 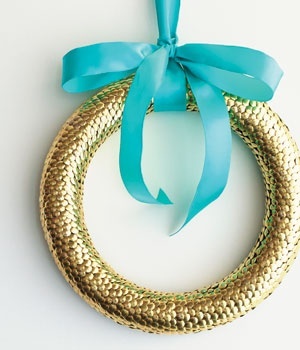 Apparently, I am now obsessed with wreaths. But I think you could do this treatment to other things as well. Basically it is just hundreds of flat metal thumbtacks pushed into styrofoam. Easy and cheap! Tutorial here. Did you get to do any Christmas crafts this year? Or maybe you are satisfied with just looking and not attempting?